Adam Paterson has been with Nissan Canada for six years, holding several positions with the Nissan and Infiniti brands. TORONTO -- Adam Paterson is no stranger to Infiniti Canada. 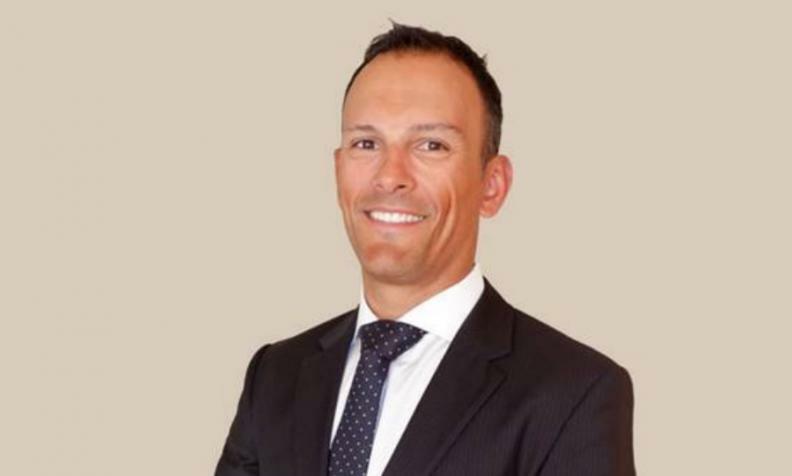 Paterson, who was named managing director of Infiniti Canada on Aug. 31, first started work with the brand in 2011, when he was appointed as its chief marketing manager. He went on to hold a variety of roles within Nissan and Infiniti’s Canadian units in the years since, but it is his experience in marketing that he plans to lean on as he transitions into his new position, he said. “I feel that all of my marketing roles have helped me get to where I am today,” Paterson, 36, said, speaking to Automotive News Canada. Paterson’s marketing skills could come in handy for the brand during what looks to be a critical moment for Infiniti Canada. The luxury brand has seen its sales boom over the course of this decade. It sold 12,094 vehicles in 2016, a gain of 6.8 per cent from 2016 and 74 per cent since 2011. Infiniti has sold 8,314 vehicles through August, a 9.4 per cent gain over the same time of a year ago. But Infiniti lags far behind its major competitors in the luxury segment, though. Mercedes-Benz, for instance, sold 46,455 vehicles in Canada last year, while BMW sold 38,012 units. Paterson’s marketing experience could be useful for the brand as it prepares to launch a redesigned QX50 crossover in a crowded space that includes the Audi Q5 and BMW X3. He said part of his mission will be to make Infiniti known as an innovative brand. Paterson said that can be achieved through highlighting its product offerings, as well as through programs such as the Infiniti Lab Toronto start-up accelerator. Infiniti Lab Toronto, which debuted earlier this year, provides start-ups with mentorship opportunities and a chance at investor funding. Paterson said the lab allows Infiniti Canada access to new ways of thinking. “These startups are able to show up to our business, which is adapting to new trends, and we’re really hoping to embrace them as much as possible,” he said. Paterson said Rover Parking, a parking smartphone app which won the inaugural Infiniti Lab Toronto demo day earlier this year, was set to visit Infiniti’s Canadian offices to demonstrate the technology and to give Infiniti employees a chance to pick the brains of those behind the startup. Paterson is based in Toronto and reports to Infiniti Americas Vice President Randy Parker. His most recent role was as Nissan’s regional general manager for Western Canada. He replaced Stephen Lester, who left Infiniti Canada last month to lead Nissan in Australia.